Remember from my Styo post about taking risks with fairly new and unknown restaurants? Well, here we were again going with the online coupon to lessen the blow if things didn't turn out. 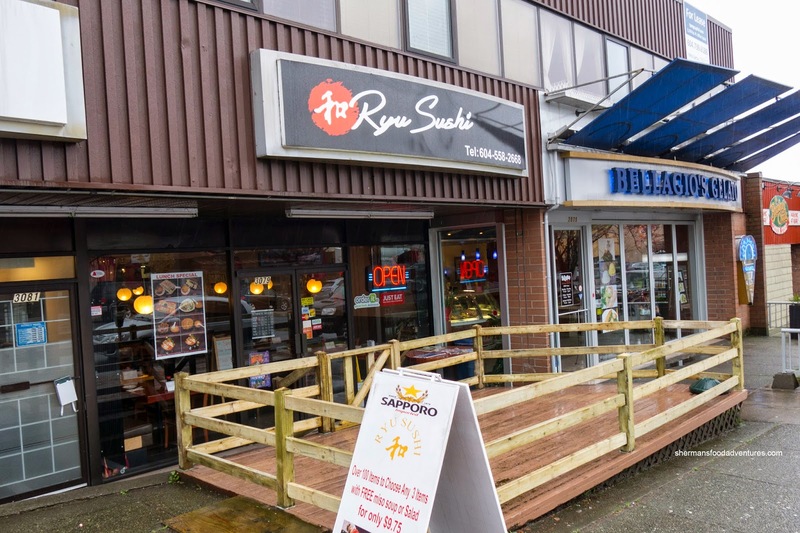 This was actually a last-minute decision as we needed to grab some dinner where I literally purchased the coupon on my phone minutes before visiting Ryu Sushi on Main. Interestingly enough, after I showed the server the coupon code on my phone, she promptly took my phone and walked away without saying a word (presumably to copy the number). Onto the food, the kids got to eat first as the big bowl of Chicken Udon showed up first. Unfortunately, the noodles were too soft. The addition of lettuce was a very strange choice of vegetable, even for Chinese-run Japanese restaurant. 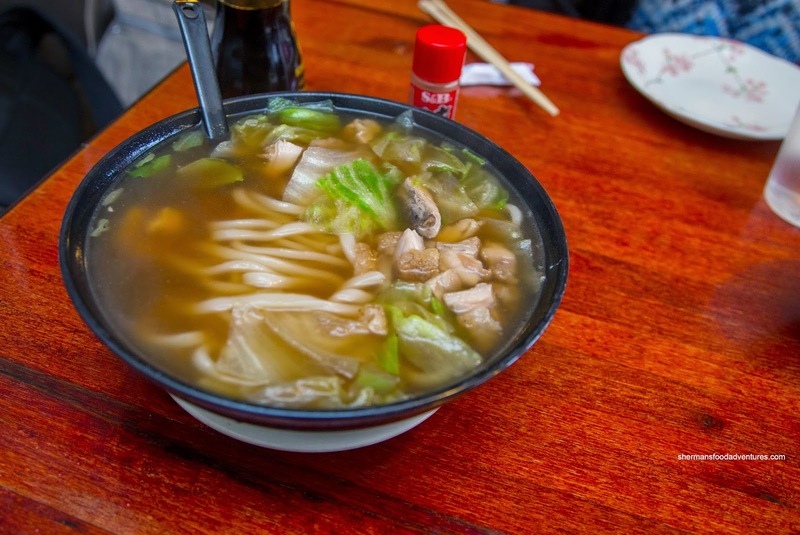 A bit cloudy, the broth was far from an actual dashi, as it tasted more like chicken soup. With that being said, it didn't taste bad though. There was a considerable amount of diced chicken, yet it was cooked beyond succulent. 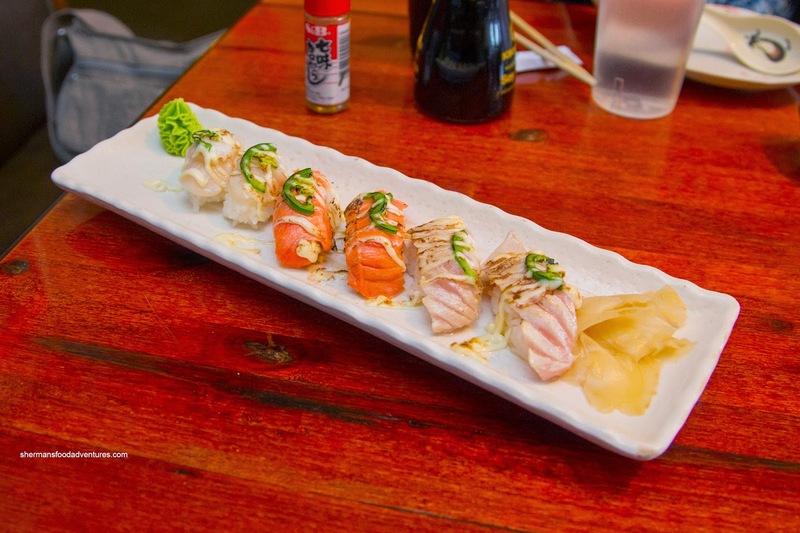 Our first sushi dish was the Aburi Sushi with jalapeno mayo. We got 2 pieces each of sockeye salmon, hotate and toro. I found the sushi rice to have a firmer texture with very little seasoning. The fish on top was decently charred. Not something that will make you forget Miku, but okay nonetheless. Next up, we had the Deluxe Tempura consisting of salmon, halibut, ebi, golden squash and yam. This was a fairly large portion with only slightly overdone fish. I say slightly because it wasn't dry. In fact, there was still some moisture left. But at the same time, it was too done for our liking. 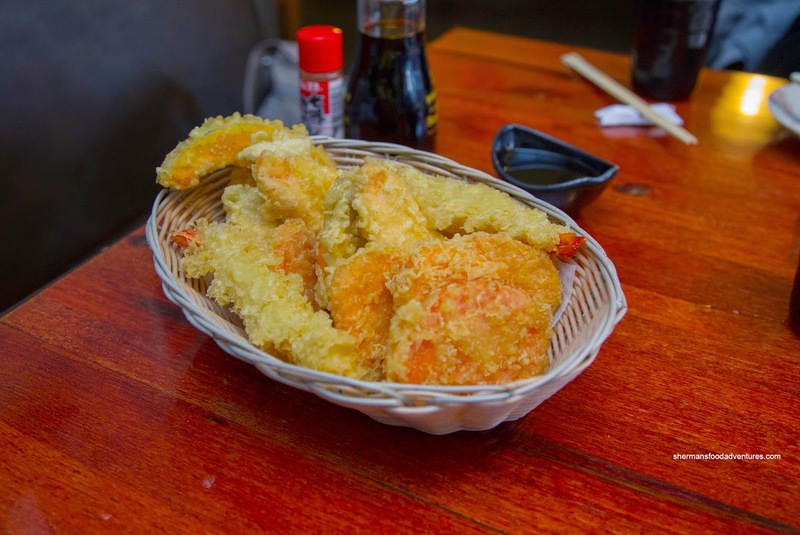 The tempura batter was thin and lightly crispy. 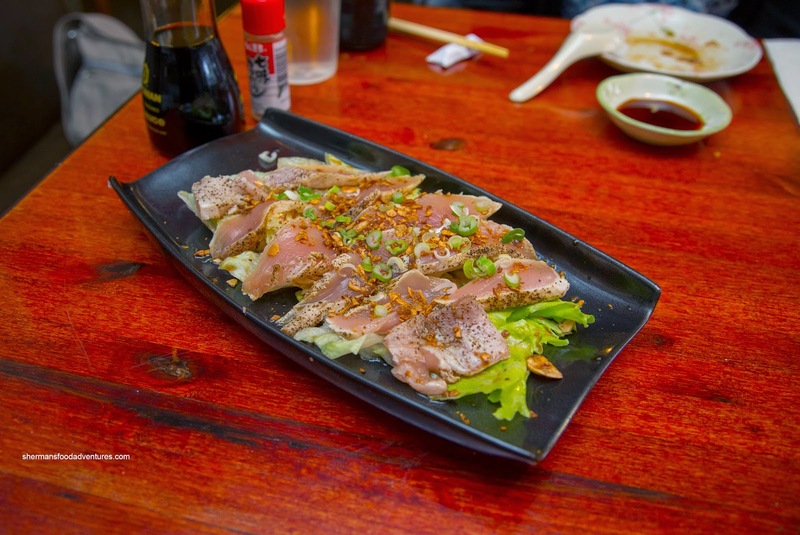 Curiously served atop salad-cut iceberg lettuce, the Tuna Tataki was decent. The fish itself was buttery soft with only the slightest sear on the outside. With a considerable amount of fried garlic, there as an appealing aroma. However, there wasn't enough soy (or ponzu) to make an impact. I had to resort to dipping it into my wasabi soy. 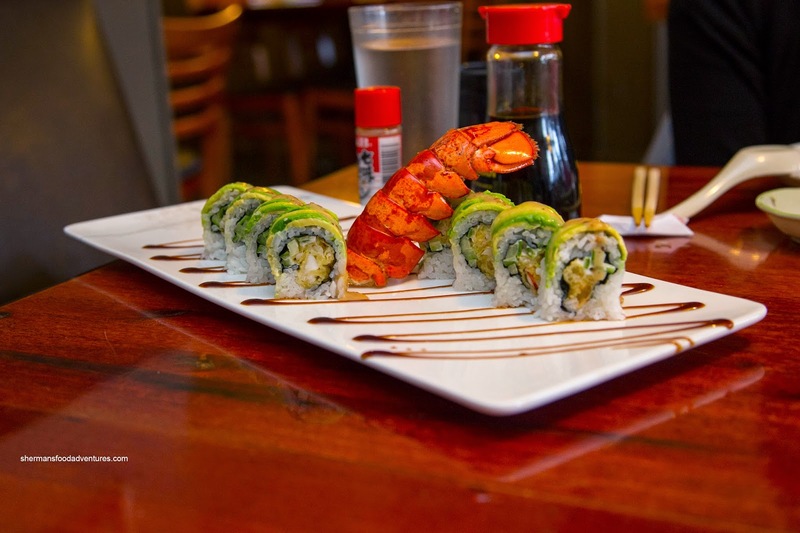 Our specialty roll of choice was the Lobster Roll consisting of tempura lobster with avocado on the outside. We found this roll rather bland-tasting on its own without any soy or wasabi. Despite this, the roll was prepared carefully where it stayed intact without being wound too tightly. The ripe avocado was rather appealing while the rice was not really seasoned. 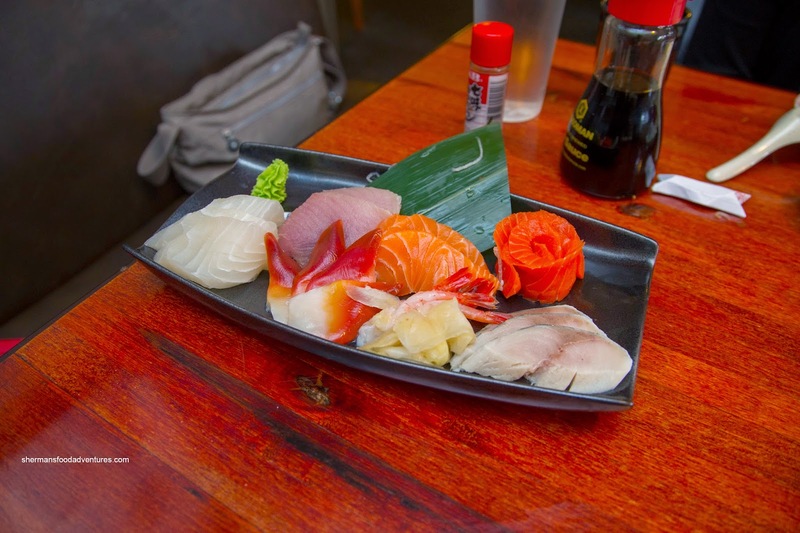 The last dish to arrive was the Deluxe Sashimi which was plated in a fairly "flat" manner. There was only a small amount of shredded daikon on the plate. Despite this, the fish on the plate was actually not bad except for the tai (it was kinda pale and too chewy). Overall, the meal was actually decent considering the regular prices. Although the service was not as bad as some others have remarked, it was pretty awkward nonetheless.